The ER, or the Evaluation Report, is written by the school psychologist with the aide of the general education teacher, parents, and special education teacher. 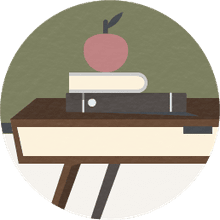 Usually, the special education teacher is expected to gather the input of the parents and the general education teacher and write them in the first section of the report, including Strengths and Needs. The psychologist will administer those assessments he or she finds necessary, usually including an intelligence test, (The Wechsler Intelligence Scale for Children or the Standford-Binet Test of Intelligence.) The psychologist will determine what other tests or assessments will provide the information needed. After the initial evaluation, the district or agency is required to revisit the evaluation every three years (every two years for children with Mental Retardation [MR].) The purpose of the evaluation (also called RR or Re-Evaluation Report) is to decide whether the child needs any further evaluation (other or repeated testing) and whether the child continues to qualify for special education services. This conclusion should be made by the psychologist. In some instances, a diagnosis is first established by a physician or neurologist, especially in instances of Autistic Spectrum Disorder or Down Syndrome. In many districts, especially large urban districts, the psychologists carry such huge case loads that the special educator may be expected to write the report—a report that is often returned multiple times because the special educator has failed to read the mind of the psychologist. Example: Following identification in the Child Study Committee, Jonathon was evaluated by the psychologist. Jonathon has been falling behind his peers, and his work is erratic and poorly done. After evaluation, the psychologist reports in the ER that Jonathon has a specific learning disability, especially recognizing print, which is also influenced by ADHD.